ASUS Eee Pad Transformer Official Commercial, Loved it! Almost every major computer hardware manufacturer out there has a Google Android 3.0 "Honeycomb" based tablet in the pipeline. ASUS is one among them. 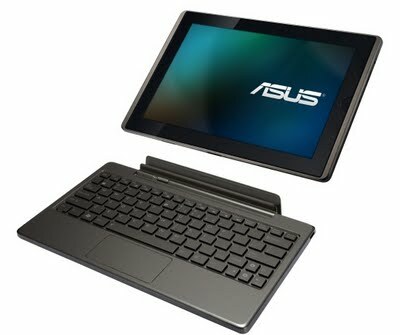 And they are in the market with probably *the* most innovative tablet ever made - ASUS Eee Pad Transformer. It basically is a 10.1-inch tablet with Android 3.0.1 OS and a full sized (detachable)keyboard dock. Watch the official ASUS Eee Pad Transformer commercial below and you will know why we included it in our listing of exciting Android tablets for 2011. Can ASUS pull it off? I definitely think so. ASUS Eee Pad Transformer was released in UK recently and was sold out almost immediately. Signs of things to come? Stay tuned.